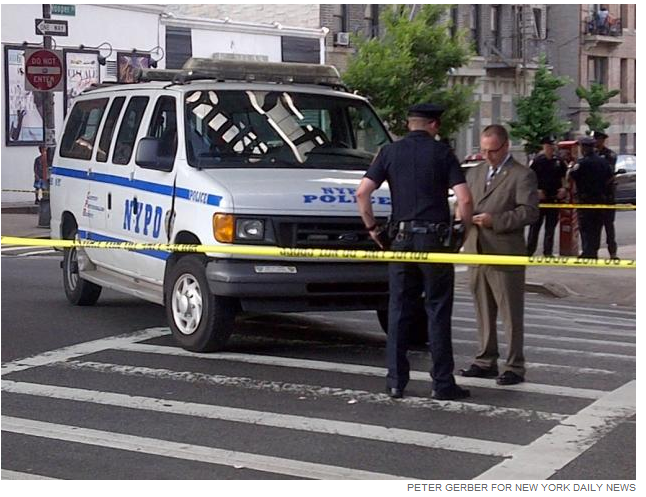 A 61 year old man was crossing the road when a NYPD van hit him. The accident took place on Broadway at Hooper St. under the elevated J line in Williamsburg, Brooklyn, New York. The poor man was declared dead when he arrived to the hospital.